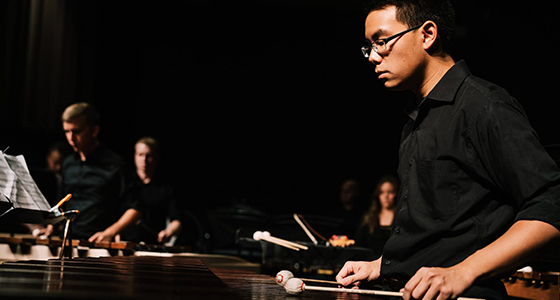 Most performances presented by the Mary Morgan Moore Department of Music are free. We also offer a number of student recitals throughout the academic year. For more information on any of our events, please call (409) 880-8144. February 26 at 7:30 p.m.
March 30 at 9:00 a.m.
April 9 at 7:30 p.m.
April 16 at 7:30 p.m.
April 23 at 7:30 p.m.
May 4 at 7:30 p.m.
October 11 at 7:30 p.m.
October 26 at 7:30 p.m.
November 8 at 7:30 p.m.
November 17 at 1:00 p.m.
November 30 at 7:30 p.m.
December 3 at 7:30 p.m.